Old World Style of chip carving, I would suggest giving it a try. do. He is a wealth of carving knowledge and talent. He also has some pretty awesome stories to boot. club member. This is not a normal ballot where you “pick one,” but your choice from all members. hold a meeting due to inclement conditions, the membership will be notified by email or phone. 606-2 Danube Court, Sheboygan Falls, WI 53085. Rooker, Bob Wallace, and Helen Williamson. Library Report. 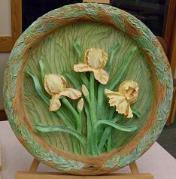 Lori Jarosh reported receiving the latest copy of Wildfowl Carving. meeting at Generations starting at 9 am. for the auction. Joanne from Generations did not let the club know how much was raised but did say the auction was a success. items will be displayed during November. be displayed in the cabinets during the holiday season. Tools for Sale. Richard Young brought tools that he had for sale to members for $5 each. Treasurer. If you have an interest in filling either position, please contact them. share responsibility to organize and run the show. Ron asked that if members are interested, they speak with him. meeting. Meat and buns are provided, and members are asked to bring a dish to share. if you have not already done so. You may also call Rosemary (894-3127) to sign up. Show & Tell. Ten members brought items for the Show & Tell portion of our meeting. Jim adjourned the meeting at 7:29 pm. friend to our club, Herman Sporleder. carvings and showed his process. Nolen Drive, Madison, WI; Saturday 9 am-5 pm, Sunday 10 am-4 pm.